Over the past couple of years, a handful of home automation startups have raised funding from investors betting on faster adoption of the new technology in India. 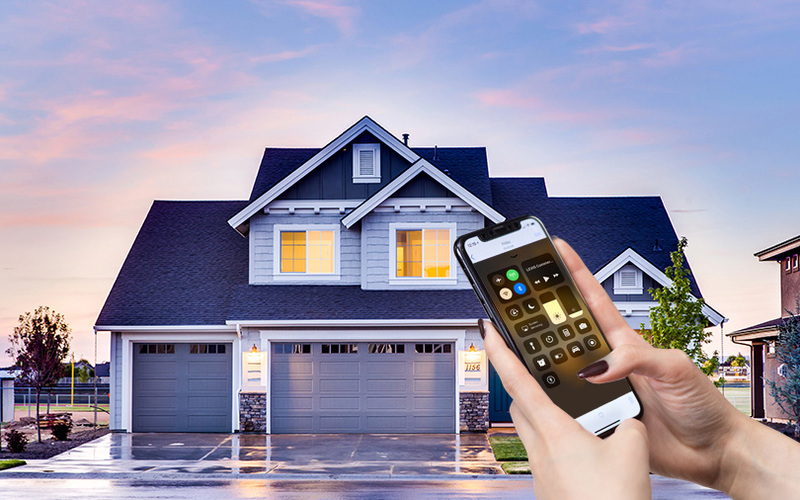 But that hasn’t happened yet, partly because home automation solutions currently available in the market aren’t easy to install and require a team of experts. Two 25-year-old Mumbai engineers are trying to solve this problem. Virang Jhaveri and Niket Sarvaiya set up home-automation startup Picostone Technology Pvt. Ltd in September 2016. The startup has designed and rolled out two smart devices, Basic and Polar, which aim to kill all switchboards and remotes. It says it has sold its products in 21 cities. “Installation of most home automation products is tedious. This makes deployment very difficult," said Jhaveri, an electronics and communications engineer from Mumbai’s DJ Sanghvi college. The founders claim that both products can be fitted by any electrical engineer, unlike other automation units that need an expert team for installation, and are easier to use. Sarvaiya, who worked at e-commerce services provider Iksula Services Pvt. Ltd for two years as digital marketing head, says that—unlike many other products—their devices can be operated from any part of the world, via any network. The company uses Amazon Web Services’ cloud platform to connect the devices and the related app, Jhaveri said. Basic is Wi-Fi-capable. It kills the need to physically manipulate the switches by sitting behind the switchboard and letting the user control appliances such as lights and fans over the cloud. An entire Basic kit costs Rs 30,000, Rs 40,000, and Rs 50,000 for one-, two- and three-bedroom houses, respectively. One Basic unit supporting four switches costs Rs 11,800. Jhaveri said Basic is connected to all the wires of appliances inside the switchboard. “It is then connected to Wi-Fi through a companion app to act as a secondary switch for the appliances such as lights and fans, killing the need to physically manipulate the switches,” he said. The information is 256-bit encrypted, just like in WhatsApp. “This reduces the risk of hacking or security and makes it difficult for malicious people to read the data or take control of the device,” said Sarvaiya. Picostone, which has eight employees, says it has sold 1,400 of the 1,800 Basic units made. The Polar device is priced at Rs 4,000. Small as a charger, it replaces all remotes in a home, by connecting all infrared-based remote-controlled appliances such as air-conditioners, television sets and set-top boxes. “Just like Basic, Polar can be operated from anywhere in the world. This means you can cool your room before entering it, and start playing your TV for children or record a show from a remote location,” Jhaveri said. Polar consists of a mother device that can be plugged into any electrical socket and nodes (‘IR Stones’). An IR Stone can be stuck on any appliance that the user aims to connect. “The nodes can be removed from the device and be put on any other device,” Sarvaiya said, adding that the user gets a free node with the purchase of one Polar unit. “Separate nodes cost Rs 1,500 each,” Jhaveri said. The nodes, which run on batteries, can last nine months on usage and two years on standby, the founders said. The company has made 500 units of Polar and has orders for 120. “We design and manufacture the products in-house and the components are procured from various parts of India. We just send it to a Mumbai manufacturer for soldering. This gives us control over inventory,” Jhaveri said. Polar is likely to start shipping by the end of the month. The two co-founders found their third partner and investor Nilesh Jain just before registering their company. Jain also became their first investor. Jhaveri said they have raised pre-Series A funding this month, but can disclose details only after paperwork. Jhaveri added he and his team have been advertising their products mostly via Facebook and Google Ads.